Donation Tracker: $62,042 Donated for Charity Since April 2012! that is generated by Classic Commercial Services at all of their (6) locations and make a donation to a local charity. Every 4 months we feature a new charity that receives all donations for that period. Every (4) months we will feature a new charity that will be receiving all donations for that period. Know of a great charity we should consider? Please contact us to let us know. Every morning 13,000 people in our city wake up with no place to call home. Approximately 2,500 of them are children. 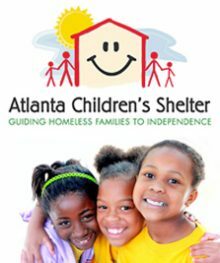 Founded in 1986 by the Junior League of Atlanta and located in the North Avenue Presbyterian Church, the Atlanta Children’s Shelter provides free, quality day care, emotional support, an educational curriculum for homeless children, and focused social services for their families. With your business, we were able to help these charities with their mission!